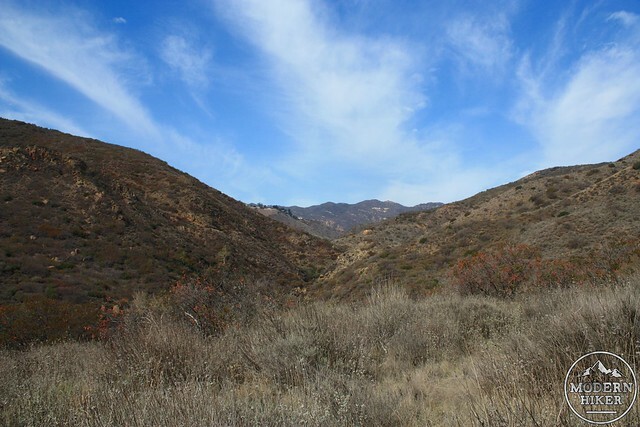 Hugging the coastline just off the PCH, Malibu’s Corral Canyon has the distinction of being the last canyon in the Santa Monica Mountains that has a completely undeveloped watershed that flows freely into the Pacific Ocean. And yes, that sound like a very specific thing, but you don’t need to memorize the honorifcs if you’re headed here – all you need to do is enjoy the 1000 acres of surprisingly solitary terrain, tremendous views of the canyons and Pacific Coast, cool ocean breezes – and at the end of the hike – maybe some post-hike seafood. 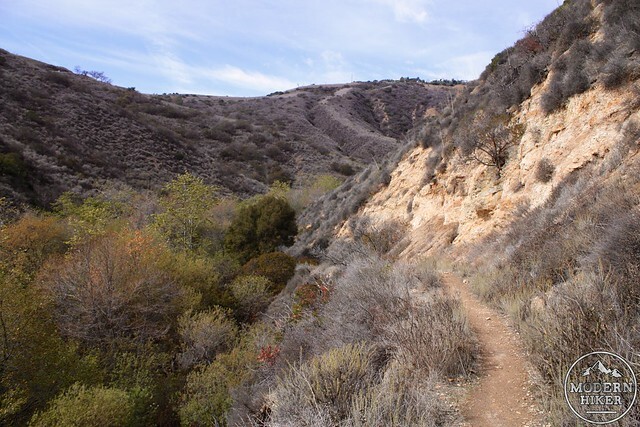 There are more trails planned for this region, but for now the only trail in Corral Canyon is the Sara Wan Trail – a 2.5 mile loop that has a decent climb and some very nice views along the way. Park at the trailhead lot ($5 self-pay) or along the Pacific Coast Highway, paying attention to the sporadic “no parking” signs along the road. For as small a park as this is, the actual trailhead is a little unclear to spot. The most prominent walkway leading away from the trailhead lot is a short path underneath the PCH to neighboring Dan Blocker State Beach. 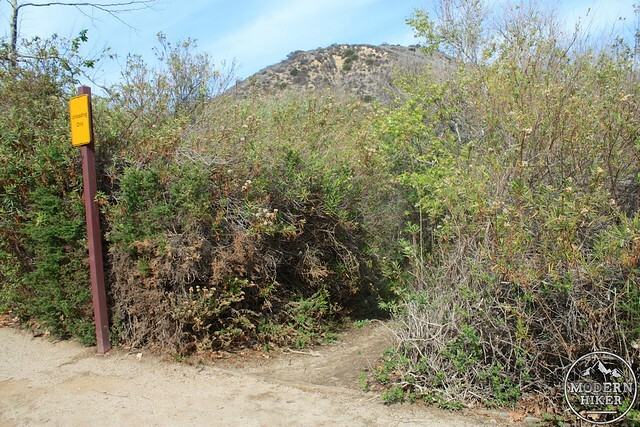 On the north side of the lot just beside a parking spot reserved for loading there is a small clearing in the brush that quickly descends to a creekbed – that’s the start of the trail. As you make the quick drop into the shaded bed, take a second to breathe in through your nose. This area is filled with fragrant purple sage and California sagebrush – and the scent is unbelievable. If you’re lucky enough to hike here shortly after a rainstorm the effect will be even more pronounced – and the fresh sage combined with the nearby estuary, salt marsh, and ocean scents is definitely something to be savored. 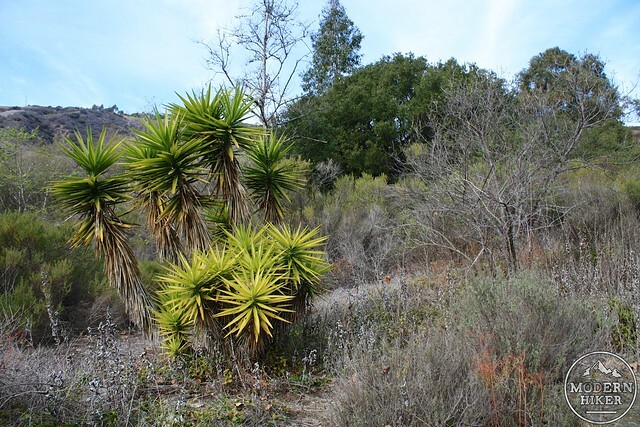 The trail hops over Corral Canyon Creek and then starts to become a bit sunnier as you turn north – here, some coastal scrub starts to take over and California Bay Laurel shows up in the mix, adding even more wonderful scents to the area. As you head toward the .25 mile mark, the trail makes a slight gain in elevation but otherwise remains flat as it hugs the creek bed and passes by the remains of an old homestead. 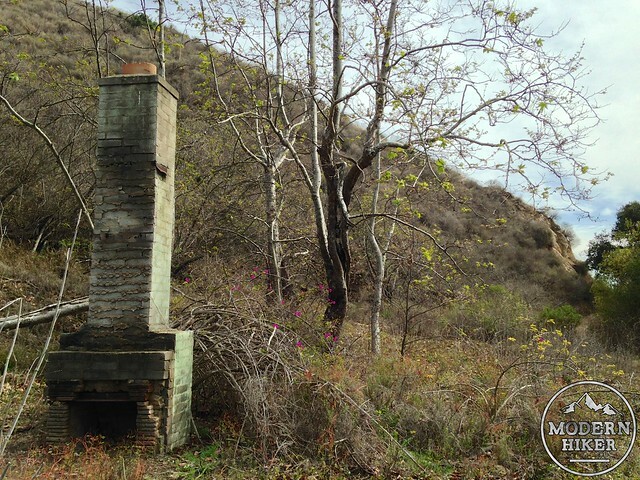 You’ll spot the chimney and fireplace, but you’ll also probably notice some of the non-native plants nearby, too. Stay left at the junction to continue the loop trail in a clockwise direction. Although both approaches are fairly similar in terms of elevation gain and difficulty, there are more pay-off views near the end of the route if you go clockwise. The trail makes a slight drop before starting its 486 foot switchbacking climb here. As you continue, the views of the interior canyons will slowly open up – but also be sure to turn around every once in a while to get some very nice views of the Pacific Ocean through the mouth of the canyon. The trail makes five long switchbacks as it climbs up the east slope of the canyon to the high point of the trail at 525 feet. The trail here isn’t overgrown but the borders are fairly grassy. 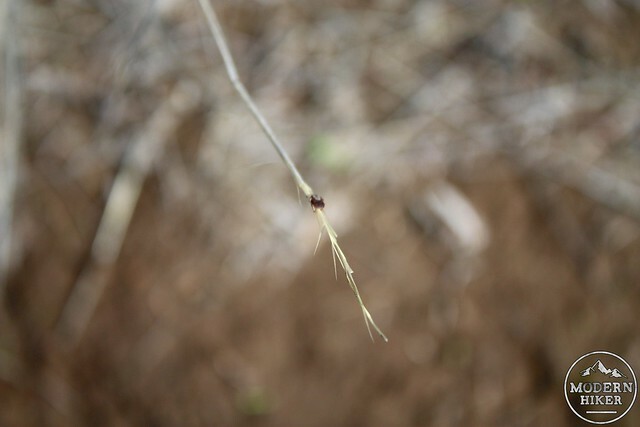 That, combined with the fact that the trail appears to be not quite as popular as other nearby routes, means that the edges of the trail may have some ticks waiting for you if you’re hiking in the warm months. There were quite a few of them out when I hiked this in early March – so just keep your eye out for them or better yet, roll your pant legs into your socks just to be safe. Once it reaches the summit, the trail takes a sharp turn back south heading toward the coast. On this initial gentle descent, you’ll get some increasingly breathtaking views of the coastline – and although you’ll be in full sun you’ll also most likely have the benefit of a cooling ocean breeze. This is SoCal hiking scenery at its best. 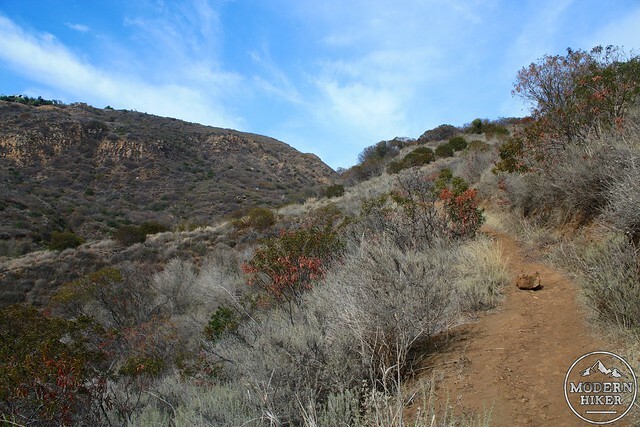 At just past the 1.5 mile mark, look for a short spur trail that leaves the main trail. 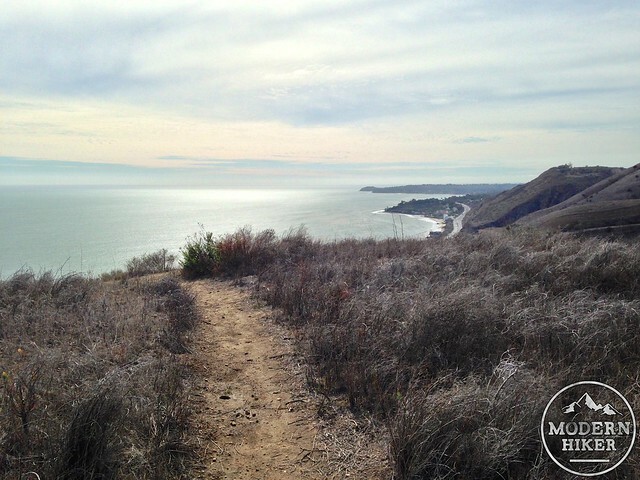 This will take you up to a flat section of a nearby firebreak that’s also an incredible viewpoint – with a full vista of the coast from Point Dune all the way to Palos Verdes. From the vista point, return to the main trail and follow it as it makes some broad switchbacks down the southern slope of the hill and back to the canyon. When you’re done with the hike, you may also notice the smell of fried seafood mingling with all those coastal sages. 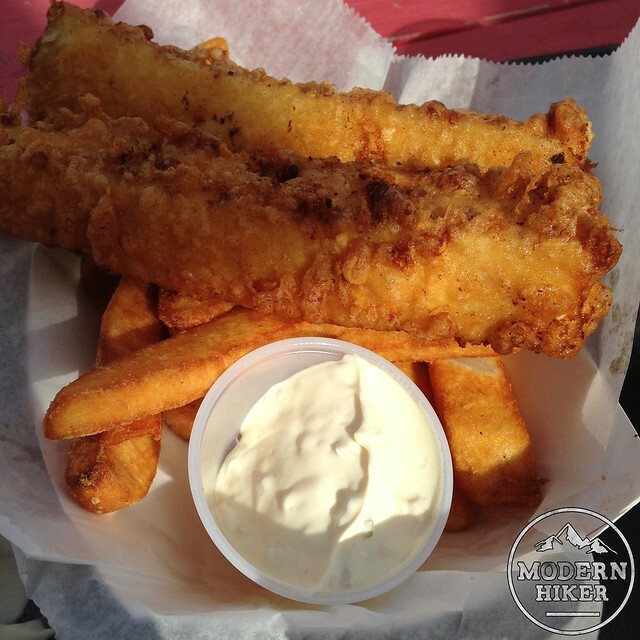 If you do end up getting hungry, the trailhead parking area is directly next to Malibu Seafood – and the fish and chips are pretty darn good after a day of hiking. Very good. Finding the trailhead from the parking area can be a bit confusing but once you get on it, there's really only the one trail in the park. 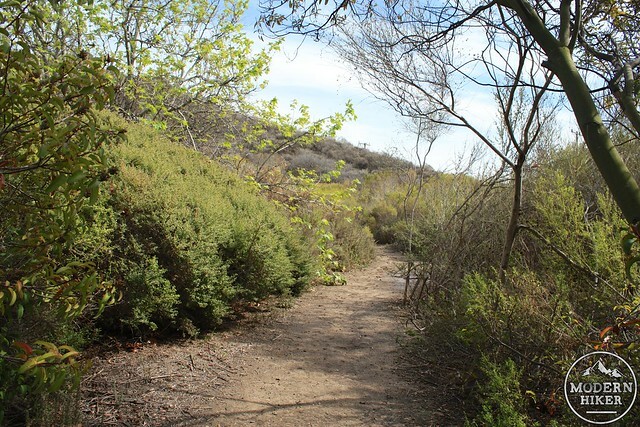 Near the overlook of the Ocean, there is a firebreak that may be confused as a trail, but if you're aware of that you shouldn't have any trouble. From the beginning of the PCH at the end of the 10, head north for 14.7 miles. From the 101, head south on Las Virgenes Road. After 5 miles, continue straight on Malibu Canyon Road for an additional 4.6 miles. Turn right onto the PCH and continue for 1.5 miles. You'll see a small sign for the trailhead just before the parking lot for Malibu Seafood. There's a small parking area adjacent to the seafood restaurant ($5 fee), or you can park on PCH. Transit accessible via Metro Bus 534. Thanks for great hike review, I was looking for something with an ocean view while in town from Michigan and this definitely provided that! Also got my stamp from Santa Monica NRA! Malibu Seafood was great! I would do it all again! It was a smidge overgrown and there is another trail at the top.. was the most confusing part. $8 to park now. July 3, 2017. We tried to do this hike just before sunset. The trail is currently extremely overgrown. If fact, it's so dense that the trail turning to the switchbacks is gone. It's currently an out-and-back. There are also several side trails (not on the map) and nothing is marked so orientation can be challenging. I would suggest skipping this hike until the trail is in better condition. Yup! I was on it from the very beginning. It was a really fun show to work on, staffed with some of the best people around. Too bad no one at Comcast ever knew what to do with the network. I've done this trail and loved the view-- but you're right -- no joke on ticks -- we took our rescue dog there five years ago and it was ticks galore (not on the dog he was protected). . . The hiking trail looks great but the fish and chips alone makes me want to check out the trail. Lol.